It's #FlatTopFriday!!! 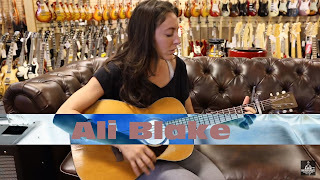 Nick with the talented Ali Blake​ playing an early 40's Martin​ 0-18 that she just bought here at #NormansRareGuitars! What do you guys think?